2nd Entrenching Battalion; 2nd Canterbury Infantry Regiment. Discharged on account of wounds received in action (gunshot wound right shoulder). Painter for Graigies Paint and Wallpaper; Painter for Education Board painting schools in South Canterbury. 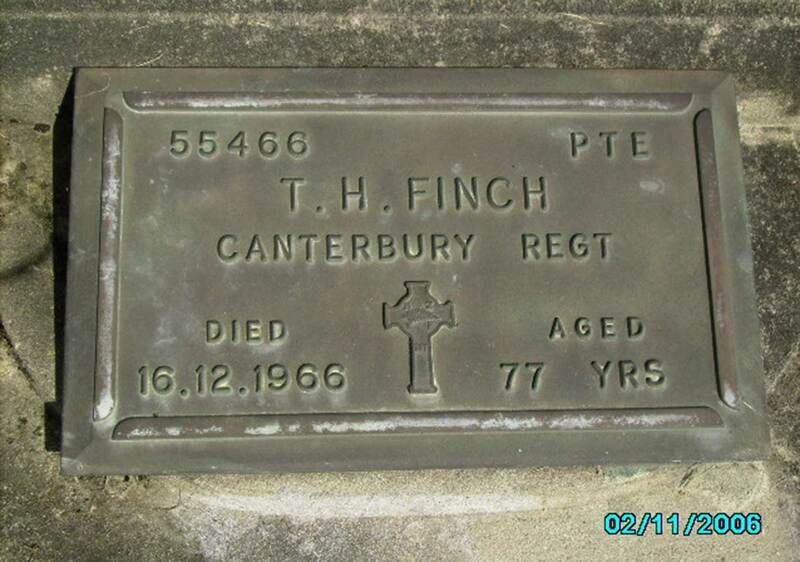 Thomas Henry Finch, the son of Alfred and Charlotte Finch, was born on 29 April 1890. 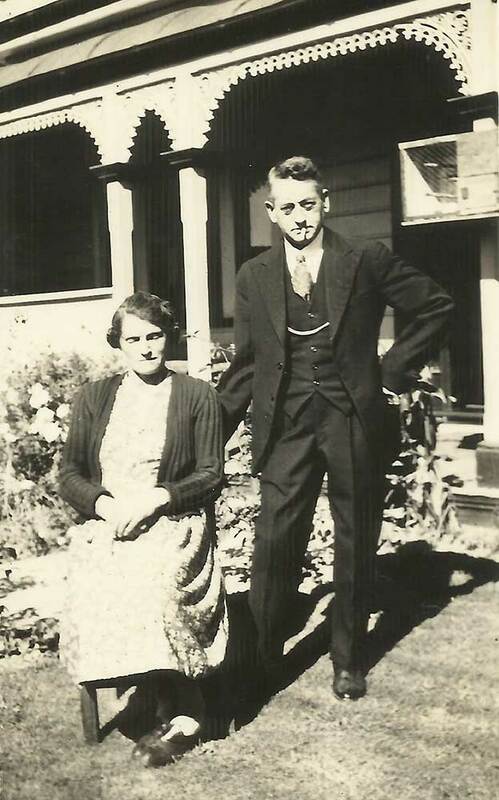 Thomas was a painter and worked for Mr A. C. Jones in Hatton Street, in Timaru. Thomas enlisted on 5 May 1917. His medical exam describes him as being single, 27 years and one month old, a Presbyterian, 5 feet 3 and a quarter inches tall with brown hair and grey eyes. He was of a fair complexion and weighed 116 lbs. Private Finch embarked onboard the Ulimaroa on 27 July 1917. While he was onboard the ship, private Finch got into a bit of trouble when he refused to obey an order. His punishment was a forfeiture of seven days pay. He disembarked in Plymouth and was posted to the Canterbury Regiment 4th Reserves Battalion on 24 September 1917. He was then posted overseas on 26 October 1917 and transferred to the 1st Canterbury Infantry Regiment on 30 October 1917. On 7 February 1918 Thomas was admitted to hospital for the treatment of VD. On release from hospital Thomas joined the 2nd Entrenching Battalion on 5 April 1918 and then transferred to the 2nd Canterbury Infantry Regiment of 28 August 1918. On 9 October 1918 Robert was again admitted to 26 General Hospital in Etaples, France, this time with a gunshot wound to the right shoulder. He was evacuated to the New Zealand General Hospital, Walton, London on 15 October 1918, and was transferred to the convalescent hospital in Hornchurch on 12 December 1918. Two months later Robert left England for New Zealand on board the Zealandic on 18 January 1919. He was discharged from the army on 18 March 1919 on account of wounds received in action. He had been overseas for one year and two hundred and nineteen days. After the war, Thomas worked for Craigies Paint and Wallpaper, then later he worked for the Education Board painting schools all over South Canterbury. He also played cricket and served as an umpire. AFter the war Thomas also married Annie Maria (Dot) Averis. The couple had three children: Christina Maud, b. 1922; Thomas Henry, b. 1924; and Desmond Frederick, b. 1926. Thomas passed away after a long life in 1983.